Oh.My.Goodness. I have not had this much crafting fun in a while! A light up Rudolph holiday framed art piece? Yes, please! I just couldn't help but put a red light-up nose on Julie's adorable new Essentials by Ellen Leaping Deer die! Here's a video of it working -- turn your sound up or down, depending on if you want to get in the holiday spirit or keep things quiet! First, I dry embossed a piece of 4" x 6" Neenah Solar White 110 Lb. cardstock with Taylored Expressions Twirls and Swirls Embossing Folder. Then I die cut the Leaping Deer from American Crafts Pow! Gold Glitter Paper, positioned him on the swirl background, and pierced a small hole where I wanted his nose to be. Next, I positioned all the pieces in my Misti, using the large snowflake stamp from the new Essentials by Ellen Season to Sparkle stamp set as a placeholder for the die cut snowflake that will be on the front of the framed art piece, which will be the "button" to push to make Rudolph's nose light up! Next, I removed all the elements except the stamp from the Misti, and replaced the swirl background with a blank piece 4" x 6" Solar White 110 Lb. cardstock, then stamped the snowflake. This piece will be my background template, which will be hidden underneath the art piece, and serve as a place to build the circuit (shown below). I also used a pencil to lightly mark through Rudolph's nose hole onto the template, so I would know where to place the LED light (you can see the small dot in the photo below, at the top of the copper foil tape). A full instruction book comes with the starter kit, along with a sampling of different colors of LED lights to work with. You can find a great beginner single-circuit tutorial video on any of the Chibitronics product pages here in the Ellen Hutson store, and Julie made a wonderful Hello Monday 10.24.16 video also showing how to make a one-light single circuit. These LED light kits are so much fun! Choose from several different LED Light sticker pack colors -- Tropical, all white, primary colors, or even special effects! When the battery holder is pressed closed, the circuit is complete and the red LED lights up! To finish the template, I placed X-Press It Foam Tape around the battery to hold it in place, building up the layers until the tape was higher than the battery/holder -- it took three layers. I'm sorry I didn't not get a photo of this -- I was too excited it all actually worked and couldn't wait get it all put together! After placing three layers of additional foam tape on all sides of the template, I topped it with the swirl embossed background. So now when the large snowflake is pressed, Rudolph's nose lights up! The Essentials by Ellen Season to Sparkle snowflake was heat embossed with Ranger Silver Super Fine Embossing Powder and die cut with its coordinating Season to Sparkle die, then popped up on foam tape over the battery. The pretty "Tis the season to Sparkle" sentiment was also heat embossed -- with super-fine silver on top, graduating down to Gold on the "Sparkle" word! The sentiment was die cut with a Taylored Expressions Label Stacklets 8 die, then Krylon Gold Leafing Pen used to color the edges; it is also popped up on foam tape. Lastly, the piece was placed in a 4" x 6" silver frame and Taylored Expressions Build a Scene Christmas Sequins (white and silvery snowflakes) scattered across the background. I hope you'll give Chibitronics Chibi Lights a try -- they are so much fun and very addictive! Think of the fun a young child would have with this holiday decoration ... I know my teenagers were playing with it most of the evening after I made it and it always received a giggle (and they thought it was cool)! Hi everyone! I'm back from CHA and super inspired and excited to get back to creating and back to the CLASSroom! What I've been missing most as I've been away is my watercolors and it seemed like a great place to start by creating a few watercolor projects to share with you today in the CLASSroom. There's just something wonderful about all that fabulous color! I've been hoarding some beautiful Cosmo Cricket Just Add Watercolor Canvas Blocks and it's way past time to get them out and get creative with them. One of my resolutions for 2016 is less hoarding and more crafting! So let's get to it! Here's my finished projects, just so you can see what I'm making. The Cosmo Cricket Just Add Watercolor line is a stunning line of products with watercolor paper. There's something for everyone. Cards. Tags. 12x12 papers. And of course, canvas watercolor blocks that I'm using today. They come pre-printed with beautiful embossed and gold foil accents so that you can easily make your own art. All you need to do is just add watercolor. These are a great project for any age as you really can't mess them up. Just add whatever colors you like and it all looks artistic! In this shot you can see the areas that are gold foiled and clear embossed. The clear embossing repels the pigment so that you'll have a lighter area in these points. My favorite watercolors are the Peerless Watercolors. Pgiment infused papers that have beautiful colors and the color picks up on your brush like a dream. I've used the Joanne Sharpe edition here on this project. The colors are bright and beautiful and if you're looking for a place to start, this set is well-priced to try them out! When picking up the color, I always like to try it out on some scrap paper. Pigment can sometimes be deceiving and this allows me to check the hue as well as gauge the intensity of the final color. The hardest part of this project is adding in the initial color. Just load up your brush and get started. When using watercolors, make sure you have lots of water on the brush so that the color will flow. I traced the You portion of the sentiment using shades of watercolor. The colors will blend well if you work wet-in-wet which means you don't allow them to dry in between adding them together. Use a tissue or paper towel to blot off the excess pigment and reveal the embossed area. To create a background, I like to add lots of water to the area first and then add in the color. This makes it spread out and blend well. Once the painted areas were almost dry I added in some flecks of watercolor by loading up my brush and then flicking the area with paint. You can use a heat gun to dry the watercolor and finish it up or allow to dry naturally. You can do whatever you like with these canvases. Add whatever colors and make it as simple or as complex as you wish. Hang it up and enjoy your art! While I was creating, I thought it would be fun to create this little accent for Valentine's Day as well. Once again, it's simple to just add watercolor. I missed taking a picture but to create the ombre stripes I just brushed color across the top of the surface, then added a little more water to my brush and created another stripe. Add a little more water each time without adding pigment and each stripe will get a little lighter. It's also easy to blend your own watercolor hues with colors you have on hand. I took a yellow and a pink and mixed them together on the Ken Oliver Best Craft Mat to create a yellowish orange. I used this new color to highlight the o areas and give them a little more definition. And that's it! Fun and simple! Hi everyone!! It's Lisa with you and it's Tuesday so that means *drumroll*, yep...#TexturalTuesdays!! YAY!! I'm really excited about today's episode because I was able to experiment with a new (to me) product and they were so much fun to use!! So, without further ado, let me tell you a little about what I'm using today and what's so cool about it. Designed for fabric, but can also be use on paper projects. I ironed the pillow square first to make sure that it was completely flat. And I had some pieces of cardboard to fit inside the square since I had no idea whether these pens would bleed through or not. Plus, it also helped to keep the surface of the square super flat. The canvas material is quite thick, so it does take a bit of time. The colors that I used for this project are as follows: Turquoise Green, Cobalt Blue, Orange, Light Green, and White. The White pen is NOT dual tip and only has a nib tip which must be shaken, pushed down, and scribbled before first use. It is a very vibrant white, though, and quite liquid. If it seems to dry up as you're using it, just repeat the steps of shaking, push, scribble. I started out by using the brush tip of the pen since it says above "for more complete coverage.."etc., THAT being said on this particular surface of the thick canvas? The nib tip works much better. The difference between the sections that I did with the brush tip and the ones that I did with the nib tip are pretty noticeable. I won't show you, though. You need to think I'm perfect. HA!! It is super important to keep your hands on the stencil AND the canvas pillow square. If it shifts at all, it can affect how things turn out. So be patient with yourself. If you look at my finished pillow above you'll see that I used different parts of the stencil and didn't over do it. I mixed and matched the colors for a more graphic outcome, as well. I DID use low-tack tape to "attempt" (ha!) to hold the stencil in place, but that was not a huge help. Just go slow and enjoy the process. I'll be back on the December 8th for an extra special #TexturalTuesdays! See you then. 1. Die cut the Sack It To You base from Camel WoolFelt. You'll notice a crease in the felt below the turkey's shirt collar die -- that is where the die cut would normally be scored and folded to form the bottom of the sack. This is where the turkey "body" would normally end, but I left the excess to make his body a little larger. (You'll also see some excess scrap felt on the left side of the Sack It base, which will be trimmed off later). Fortunately, Taylored Expressions has a whole line of adorable generously-sized Sack It dies which would make ANY dinnertime (or breakfast or lunch!) more enjoyable (AND functional)! It's never too soon to start getting ready for the holidays. If you start your holiday crafting soon, then there's no rush down the road to get it all done in a few short weeks. As the days get colder, I'm finding it easier and easier to spend more and more time tucked away in my craft room making pretty things. Today's design came together in a couple different ways. A couple months ago I ordered some Cosmo Cricket Gallery Blocks to create with. I was actually thinking I could use the solid reverse sides to begin experimenting with a new art medium, encaustic. It turns out that I should take more time to read the product description and not just jump to conclusions about what I'm getting as these sweet little blocks have a nice hanger on the back-side. I had been planning on flipping them but that was no longer an option. It turns out they are actually little blocks that can be covered with fabric for easy DIY home dec projects. Super sweet and what a great concept. And yes, had I read the product details it was very clear in the wording. 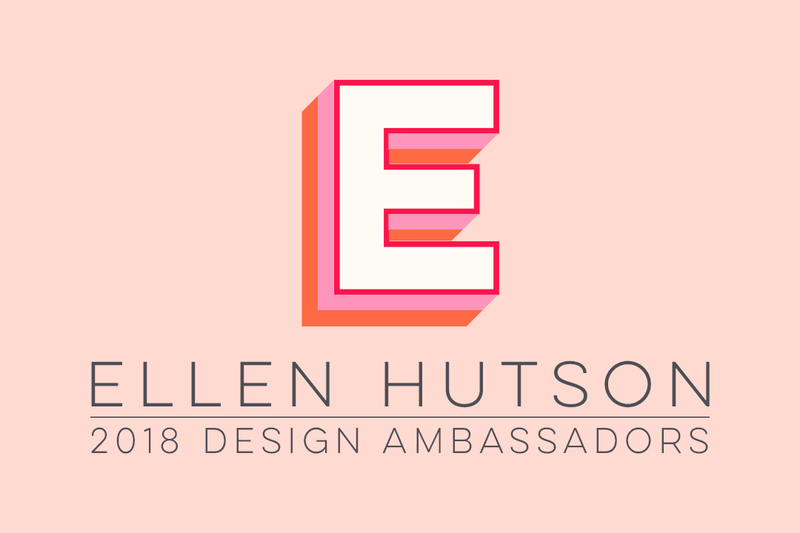 Ellen Hutson LLC does a great job at this, so if you're in doubt, please check out the product info or contact customer service. They are always happy to help! As I knew I'd be able to find a wonderful use for these blocks, I set them aside to think about it. It turns out they make fabulous little shadow boxes. You can stack them or use them separately. Each side has some GREAT sticky adhesive on the sides. This is perfect if you cover them with fabric or whatever else you with to use. To start off my project I was inspired to make a little holiday decor accent using some new holiday goodies, the Basic Grey Juniper 6x6 paper pad, some darling Boxwood Twine and Trophy Antlers from Tim Holtz. To create the wreath, I just snipped off a length of the boxwood trim and then twisted it into a wreath. It's a double wrap and the wire in the trim holds it nicely into shape. The Basic Grey Juniper paper is a gorgeous new paper pad. I used it on a few elements of this design. The first use it to cut 4 strips of paper that are 1" x 4" in size. Remove the adhesive backing along the sides of the wood frame and cover with the patterned paper strips. Glass glitter is the epitome of glitter in my opinion. It's so beautiful and shiny and has a wonderful heavy texture. Be careful with it though, as it IS glass. This is the Prima Sterling Glass Glitter and it's perfect for the holidays. To apply the glass glitter to the front of my wood shadow box I liberally coated the edge with Glossy Accents. Sprinkle with glitter and allow to dry before shaking off the excess. A Tidy Tray works great for keeping this glitter in one place as you definitely don't want it on the floor. The sweet Tim Holtz Trophy Antlers are so much fun and play off the big trend of the past couple years. It's a resin embellishment and I wanted to give it a frosty feel. Some more Glossy Accents to the rescue, along with some Rock Candy Distress Glitter and he looks properly festive. Since creating this project, the store is now sold out of the sweet little Antlers. To get a similar look, why not try die cutting a dear image from chipboard and then cover it with white glitter? The Essentials by Ellen Prize Stag die would be amazing as a substitute or simply just have the wreath with a lovely sentiment banner. To put it all together, a 3" square piece of patterned paper from the Juniper paper pad lines the inside of the wood frame. The antlers needed to pop out a little more so that they wouldn't hit the frame so I created a little extra layer from some patterned paper and a piece of Craft-a-Board. It was cut 2" square and then covered with the paper. To finish it all off, some sweet twine and jingle bells accent the wreath and a little hanger is formed on the back of the wood frame from some tape measure trim. Have fun getting in the festive mood for crafting this year! Thanks for stopping by the CLASSroom and have a fabulous and creative weekend! It's time to deck the halls and add some lovely holiday touches around the house. How about a project in a simple vintage style? I think it makes a sweet addition to an old dresser I salvaged, painted black and now use as a sideboard in my eating area. Black and white is very popular right now and it also has a great vintage look to it. It seemd like a no-brainer to pick the color combo right from the hanger. A black and white and grey Christmas project? Hmmmm...it's different but I really love the look. I've created my hanging project using Craft-a-Board. If you've never tried it, you really should. Put it on your to try list. The possibilities are endless and I love the soft vanilla color. So much nicer than grey chipboard. For nice clean cuts, I adhered the patterned paper to the Craft-a-Board BEFORE cutting it with my Tonic Guillotine cutter. It makes really nice clean edges. If you're into exact measurements, the base is 4"x5.5" and the grey layer is 3.5"x5"
Likewise, I die-cut after the paper is on and die cutting the grey paper covered Craft-a-Board layer makes some sweet negative snowflake shapes. This is super easy to do with Movers and Shapers dies by Tim Holtz for Sizzix and the Magnetic Movers and Shapers tray. You'll see in later photos that at this point the layers are glued together and then stitched on my sewing machine. Yes you CAN stitch two layers of Craft-a-Board very easily on a sewing machine. Stitching is always a nice subtle detail and also has the added benefit of making your project extra sturdy. Onto the sentiment...I've used some of my favorite chipboard letters and altered them with some Picket Fence Distress Crackle Paint. Love, love, love Distress Crackle Paint and how it crackles as it dries. It's perfect for any vintage themed project. My tip for you...just be patient and let it dry natural for the best crackle effect. I wanted to add a little extra pop with these letters so while the paint is wet, I sprinkled on some Vintage Glass Glitter. It's another great vintage touch. Make my own of course. Yes you can color your own cardstock with Copic Markers. Alcohol based inks won't pill the paper the same as waterbased markers and you won't get streaks. The key to coloring your own paper is to saturate it well with the marker ink. Go over and over it in a circular motion until the paper is all one uniform color. You'll want to wait until the ink is very very dry and then you can stamp on it. My next step is a tip I learned from a student when I was teaching a class last year. It's so easy to make your own notched banner ends with a simple pair of scissors. Cut from one corner to the end of the notched cut. Cut from the other corner to the end to form your notch. It's so much easier and more accurate than trying to cut your angles right off from the start. Here's a detail of the dried and crackled letters and I've wrapped the sentiment banner over them from the back on the left side. I just couldn't resist a picture of the beautiful vintage style hanger. It makes it super easy to make any project gorgeous. I loved creating this project and can't wait to create more to span the seasons. If you're not into creating home decor, you can create a holiday card by just creating this project onto a card base. It's the perfect size for that as well. Have fun creating for the holidays, have a fabulous weekend and thanks for stopping by the CLASSroom! I'm a big fan of mini canvases. I'm a big fan of burlap too. That being said I just couldn't resist checking out the new Tim Holtz Burlap Panels. I was pretty excited to get them and love how my first creative journey went with them. I made this sweet little mini canvas with one of the canvases. There's four in the package and that has me looking forward to creating more! Here's what the burlap panel looks straight from the package. The texture is amazing! This panel measure 3"x4" in size. To highlight all that gorgeous texture, I started off by brushing on some gesso. I like to put just a little on a brush and lighting brush it across to that you just get the tops of the fibers to make them stand out. Gesso dries really quickly so you can be onto the next step before you know it! I like to use the Studio Multi-Mediums as an adhesive with mixed media projects. I've torn out a bird from some printed tissue. I like torn edges in mixed media as straight cut edges seem a bit hard and interrupt the flow of the design. This particular tissue by 7 Gypsies has recently sold out of Ellen's store but you'll find a link below to the Tim Holtz Melange tissue which is really very similar in style and works great as a substitute. Another of Tim Holtz's new products that I just had to order and try is the new Fabric Packs. I love fabric and these swatches are going to get lots of use from me. They are perfect for paper crafting but I'm pretty sure my sewing machine will be coming out soon too! They come in 6x6", 8x8" and 12x12" sizes. I've used the 6x6" Eclectic Elements Pack. Here's a piece of one of the prints cut out of the fabric using pinking shears. Fabric is wonderful added to mixed media projects and it can be applied easily with the Studio Multi-Medium. I like to brush lots of the back of the fabric and in this case I've brushed it over the top as well once the fabric was adhered to the burlap panel. Here's where I started experimenting a little. Rummaging through my stash looking for paint, I found some Ice Stickles and thought a little glitter and glam might be just the ticket on this project. I simply squirted a blob of it onto my work surface and spread it onto the burlap with my finger. Really truly, it wasn't that messy as fingers wipe clean easily and I was able to press it into the texture of the burlap exactly where I wanted it. I found this a really great way to get the glitter into the project and not have it flying all around the room. Next step in my canvas, I added in a little color using some Classic Teal Studio Paint. You'll see light touches of it here and there in the finished project. I still had a little on my brush when I painted the chipboard frame with white gesso and I love the hint of color it gives. I like it so much that I just had to brush a little on the petals of these sweet paper flowers. I think these sweet mirrored stars are my absolute favorite product that Tim Holtz released at the recent tradeshow. I had to add one of them to the design as well. The frame was adhered to the burlap panel and then all the pretty embellishments were adhered to finish off the design. Lastly, here's a little closeup of all the fabulous texture on the edge of the burlap panel. When creating a canvas, don't forget the edges. Adding interest to them will finish off your design. If you'd like to see more detail on any of the images, just click on them and they'll expand in your browser. With Christmas around the corner, this project has me thinking. Some little burlap panels would make a lovely and creative gift. What do you think? Thanks for joining me today in the CLASSroom! Have a safe and creative weekend! Ever feel like there are just so many projects you want to try and just not enough time? I think most of us feel that way. I think the key is prioritizing and making a list of what you want to accomplish. I've been keeping a crafting-must-try list lately and at the very top of it was the Tim Holtz Assemblage Clock. When I first saw it in the CHA Winter release previews, I gasped and knew it was going to be going into my shopping cart. I love all things to do with clocks and this clock/altered display item...well, it had me at hello. When I first got my Assemblage clock, I was really impressed with how well made it is and how large it is. It's 7 inches tall. For some reason the photos I'd seen of it made me think it would be more like 5". I was thrilled with the larger size as it gave me a larger work area. The back panel easily snaps on and off for altering. I decided that it would add extra dimension to alter the glass front of the clock as well as the inside and started off by adding rub-on transfers to the clock face. To apply the rub-ons, cut out the designs you wish to use and remove the backing. Apply to the surface you wish to transfer them to and then rub them on using firm pressure and a popsicle stick or the Basic Grey Rub-on Roller. To create my background, I removed the back panel and traced the circle onto a piece of Craft-a-Board. You need something sturdy to support the embellishments and this does it well. After cutting the circle out, it was then covered with a piece of patterned paper. I went with a neutral paper and that works well as most of it gets covered up with the layers. Next step is to add some layers. The kraft tag was stamped using some Shell Pink Paint Dabber and a Hero Arts Background stamp. I've used the same paint to coat the chipboard butterfly. The coordinating solid butterfly from the same set was covered with patterned paper and the edges filed with the Basic Grey Precision File Set. I like to keep adding layers until the design is balanced and it just feels right. The left side of the design is fairly simple, a large flower, as the rub-on on the front glass covers that area. I find using a hot glue gun works well for adding in all these heavy embellishments, especially when the design is going to be upright when on display. You'll notice that I've repeated the rub-on transfer motifs throughout the design. You can see little butterflies and postage marks on the back layers near the top of the design. My favorite use of them is to embellish these sweet little wood spools. Rub-on transfers are so versatile. This project uses them on glass, paper, paint, wood and even fabric. The little linen tag took the rub-on application perfectly and makes a sweet final accent. Hope you've enjoyed this sweet timely project and that inspires you to make your own. Thanks for joining me today in the CLASSroom and have a wonderful weekend! After a few trial and error attempts, I came up with this successful method when wanting to stamp and color with Copic markers onto a stretched canvas frame. Sometimes a detailed stamp like this one is difficult to get a crisply stamped image when trying to stamp onto a stretched canvas over a wood frame. To begin, I stamped the Hero Arts DesignBlock Flower Text (measuring a nice 6" x 4-1/2") with Memento Tuxedo Black ink onto Claudine Hellmuth's Studio Sticky Back Natural Canvas-8-1/2" x 11"
I hope this project helps put you in the Spring spirit and encourages you to get crafting this weekend! It is such a pleasure to welcome Susan Roberts back to the CLASSroom today as she has prepared a fabulous guest post for us! THANK YOU Susan for creating this magical project and sharing the amazing details on how you created this beautiful mobile! It is absolutely stunning!! After my daughter-in-law saw a few butterfly mobiles on the internet that she loved, I decided to come up with one for her to hang in my newest little granddaughter’s nursery. It uses many of the wonderful tools and products from Ellen’s store. The mobile begins with the solid inside pieces of 3 different sized embroidery hoops. The surface of these wooden hoops was very porous, so they were sealed on all sides with Gesso and Acrylic Paint. To connect the hoops, 3 strands of fishing line were tied across the largest hoop. To secure each knot a glue gun was was used, and the excess fishing line was cut off. Again using fishing line, the 2 smaller hoops were tied to the fishing line on the largest hoop. Each knot was again hot glued and the excess fishing line was cut off. The butterflies were made using cardstock. You can use light pink, medium pink, dark pink and classic cream or change it up depending on the color of your child's room. We have many different varieties of butterfly dies in our store to select from. Just follow this link to find ones that appeal to you. This mobile uses approximately 22 dark pink, 22 medium pink and 20 light pink butterflies. Since the colored cardstock used in this post reverse side is white, and because part of this reverse side would be visible on the finished butterfly, dye ink was applied using an Ink Blending Tool on the white side of each piece to give them a creamy color to match the Neenah Classic Cream cardstock that was also being used. Oh and I have to mention something about The Vagabond! Being able to use Ellen’s studio and the Vagabond was incredible. It made cutting out even the most intricate lacy butterflies an absolute dream. The butterflies were assembled using a Quickie Glue Pen. (In those areas on the butterfly which were large enough, double sided tape was used.) Once the butterflies were assembled, they were attached to the mobile by making a hole in the center of the butterfly’s body with a paper piercer and then threading one of the strands through that hole from the back to the front. Using a ¼”Circle Punch, circles were punched and then adhered to glue dots. These were then adhered to the back of each butterfly over the strand of thread one per butterfly matching the cardstock of that particular one. This holds the butterfly to the desired location on the strand of thread. Once all of the butterflies were placed and secured, the strands were cut approximately 4” below the lowest placed butterfly on each strand. Next, two self-adhesive pearls were added to the end of each strand placing the sticky sides of the pearls together to form a round pearl. The ribbons were all placed on a 1” fastener ring at the knots and gathered together on the bottom half of the ring. Clip the ring shut and voila! Independence Day is coming up and inspired by the new Maya Road Star tins, I thought a patriotic project might be a fun one to work up for my American friends. I hope you enjoy it! Mini Canvas Frames have to be one of my all-time favorite products in the Ellen Hutson LLC store. They are 4"x4" in size and are the perfect size for making fun altered canvas projects and just right for experimenting on. A great feature of these canvases are they are triple primed meaning you can get right to the fun stuff. As well they come two in a pack, are super high quality and as the canvas wraps right around to the back, you don't even need a frame for them. Unless you want one of course. Today's tutorial has lots of photos to take you through all the steps. A picture is worth a thousand words, right?...so I've taken a few to make it easy to follow. The first step is to paint one of the canvases with blue Studio Acrylic Paint. While that is drying, you can stamp a nice collage of images onto the other canvas. It's already triple primed as I mentioned earlier so you can just stamp away. I like using the Ranger Archival Inks for stamping on canvas and then heat set the ink for permanence. Creating stripes is easy to do when you mask off an area. Tissue Tape makes a beautiful accent but it also works perfectly to mask with. Apply the tissue tape on the areas you want to remain white and paint the rest in red. After the paint has dried, you can remove the masking tape and your canvas should look like the above photo. While that continues to dry, it's back to the blue canvas. Once it's surface is dry you can stamp on it with paint applied to a background stamp. I love doing this with an Adirondack Paint Dabber as it makes it super easy to cover the area. Stamp canvas and set aside to dry. Once both canvases are dry you can add a lovely crackle finish if you like the vintage look. Apply Rock Candy Distress Crackle Paint over each of the canvas and give it an hour or so to dry. The Distress Crackle layer will add a beautiful vintage distressed look. To highlight it, sponge the surfaces with some Distress Ink. If you'd like to check out the detail, just click on the above photo to enlarge it. Finally we get to the Maya Road Star Bottle Cap that inspired the project. Most paints flake off metal so I've painted the inside of the bottle cap with Gesso. I've filled the inside of the star with a knotted length of burlap tirm and added some other sweet embellishments. Here's a detail of what the star canvas looks like finished. To complete the striped canvas, I've painted some chipboard letters with the matching blue Studio paint and adhered them to the canvas. You can display these canvases horizontally as in the first photograph but after completing the project, discovered that it looks great arranged vertically as well. Hope you've been inspired to create some patriotic art for your home this summer. Thanks for stopping by the CLASSroom and have a wonderful weekend! Easter is right around the corner and I thought I would share an idea that has been brewing in my head for some time. I figured I'd best get busy and share it if anyone is to have time to play with it this Easter season. It was as I thought about the many ways to use adhesives that these ideas popped into my head. I cannot lay claim to the clever title of these eggs. Julia E, here at work, is so very clever with words!!! After sharing my idea she just popped out the word "faux"berge and I started to laugh - it was perfect! Glitter, foil, pearls, gemstones, Be Creative (Sookwang) tape, embossing powder, Distress Stain... the list of products in our studio that can be used to embellish an Easter egg is LONG. It is so fun to think of different ways to use these products! I would like to recommend that you blow out the insides of your eggs before beginning, but due to limited time I just went for it being VERY careful not to drop it as I worked. Sadly these eggs would not smell very good if I were to actually put them out on display, so I keep peeking at them in the fridge from time to time - LOL! Next time I will definitely be blowing the insides out! The first idea was to use the beautiful Design Adhesives we carry. The smaller designs are simpler to use because you do not need to worry about them overlapping themselves when you adhere it to the rounded surface. Cut out an individual shape and burnish on to the surface of your egg. Gently peel back the protective coating. Apply glitter and press glitter into adhesive with your fingertip. Pour off the excess glitter and burnish the glitter into the adhesive, just as you would when doing the burnished velvet technique on paper. Remove excess glitter with a soft brush. These glittery eggs are absolutely spectacular! Use one color or many colors of glitter for a variety of looks. The larger adhesive designs are a little more difficult to work with on the rounded surface. You will need to slightly overlap the design, but I found the look to be worth the extra effort. Apply the Designer Foil to the sticky adhesive surface and gently rub the foil into place making certain all adhesive is covered with foil. Peel it back and the foil remains attached to the adhesive. If you have little gaps left exposing the adhesive simply apply a little Microfine glitter. You can use a coordinating color or contrasting - just think of all the options this leaves you! Not only can you use Design Adhesive for this technique but you can create your own adhesive shapes using your dies and Be Creative (also known as Sookwang) tape! You must use the sheets which have the protective backing attached. Select a design that would compliment the shape of an egg and cut it out. Dies that are extremely intricate will not work for this technique because the adhesive will stretch as you remove the backing and apply it to your egg. Select your dies with this in mind. Begin to peel back the protective backing and attach this to your egg. Remove a small portion at a time and adhere to your egg surface. Once you have it attached apply a light pressure over the entire design to make certain the adhesive is adhered to the egg. Remove the backing and apply your glitter, burnishing it in to the adhesive. Add additional embellishments to glam up your egg! As with all things crafty one things leads to another --- what would Distress Stains do to an egg? I simply applied the stain to my egg and used a soft tissue to remove the excess. Eggs are so very interesting - the striped appearance just happened naturally! Using the dots from my previous experiment with diecutting Be Creative sheets I covered my egg. You could easily use Glue Dots if you were simply applying glitter or foil, but if heated Glue Dots will begin to bubble, whereas Sookwang tape can be used with heat. Remove the backing and apply white embossing powder. Heat the embossing powder to melt. You could create so many different patterns using tape - stripes, plaids, chevrons, mixed dots and stripes, more die cut shapes - my oh my the list is endless! How cute is the polka dotty egg?!? These would make awesome little decorations on your Easter table! I hope that you try making "Faux"berge eggs this year!!! Hello and welcome to the CLASSroom! With Valentine's Day approaching, I wanted to do something "love" or Valentine themed with some recent photos I had taken of my daughters. After stumbling across a photo transfer to canvas technique, I decided to combine the two ideas into this fun home decor craft! 1. A photograph copied or LASER toner printed (NOT home inkjet printed) onto regular 20 lb. copier paper. It is the toner in regular (or color) copiers and laser printers that makes this transfer technique work. Just remember the photo will be reversed, once transferred, so if you want your canvas to turn out exactly like the photo, you will need to print the photo in reverse. 2. Stretched canvas on a 1.50" wood frame, any size you wish to work with -- Ellen has several to choose from. I used the triple primed (white) kind like these 4x4 Pair. Ellen also carries these sizes 10x10, 4x6, 5x7 of natural canvas (unprimed). I have to assume they would work just as well since I know this technique also works on the same type of natural canvas FABRIC (See **Note at the bottom of this post). 7. Sponge, soft cloth or your fingers! Since I was going for a Valentine look, I turned my photos a sepia color and then re-colored the red accents so they would stand out. (You can find a quick tutorial for that here). You can use sepia, black & white or full color photos -- whatever you like, it doesn't matter. Once you have the photo copied and trimmed to the size you want transferred, paint a generous amout of the gel Multi-Medium all over the canvas. You want enough gel so that the photo is thoroughly saturated, but not so much that it's dripping down the canvas! My original photo is on the right above, left is the canvas painted with Multi-Medium and the photocopied photo smoothed and "adhered" to the canvas. A word of warning here: If your scraper picks up any gel Multi-Medium that may ooze out from under the edges of the paper, wipe the scraper off and DO NOT spread it around on TOP of the copied photo! With gel medium on top AND under your photo, this will cause a white spot where the paper is really "glued" to your canvas (I had a few of those spots)! Then, let dry! It will probably take a few hours, depending on the size of your photo and how much gel medium you used. To be safe, I let it dry overnight. Once the Multi-Medium is dry, generously mist the paper with water and start to carefully wipe/peel away the paper with a soft cloth, sponge or your fingers -- whichever works best for you. But "carefully" is the keyword here -- if you rub too hard, you will rub off the photo! But having some of the photo rub off isn't the end of the world -- I think it makes the canvas look like it is a real "painted" look and some of the image missing gives the canvas character! I started with a soft cloth in the first step but then switched to my fingers in later repeated rubbing (see below). Water is your friend here -- if the paper is stubborn and doesn't want to peel off easily, re-wet it and let the water soak in, then try gently rubbing the paper off again. Let the canvas dry again. If it dries looking "cloudy" (like the photo above) you may have to repeat the process a few more times, to work off all the layers of paper (this is where my fingers could feel the paper better and work it off easier, so not to rub off the photo!). Once thoroughly dry and you are satisfied with your results, paint a final protective sealing coat of the Multi-Medium over the top of the canvas. Don't worry, it will dry clear! NOTE: For a different look, try using Claudine Hellmuth's acrylic paint COLORS for this transfer technique ... Claudine says they work, too! You can find a tutorial Claudine did HERE. ** NOTE: After completing my project, I discovered both Julia and Ellen have used this same basic technique here in the CLASSroom before (great minds think alike)! You can find Julia's Dec 2009 project HERE where she used a black & white photo on a FABRIC canvas album for a lovely vintage look. And Ellen created an adorable photo pennant banner HERE with fabric canvas -- she had success using a color copy of her photo she printed with her home inkjet printer! I hope you'll have as much fun with this technique as I did! Every year, I think I'm going to create an Advent Calendar and every year I don't. There are so many absolutely darling ideas out there, but usually, the ones I fall in love with would take more than I have time for as a busy, working mama. I need something I can do in about an hour or two max. If you're anything like me, then this is the advent project for you! Before I get started, I would like to mention that I don't currently have any number stamps or stickers, BUT I just happened to have a numbers die that worked, so I used what I had. But, it did take a bit of time to glue each of the numbers all down. This project actually would have gone faster, if I'd had stamps or stickers. A set that would work well for this project is the Hero Arts Garamond Numbers. The first thing you want to do is stamp your little ATC Kraft bags--they are so stinkin' cute--one package will provide 25 bags, but you might as well pick up an extra package while you're at it, because after you're finished making the advent calendar, there are all kinds of other projects these babies are fun to use in. Trust me. TIP: Whenever I'm stamping something like a bag that will have some uneven areas due to the bottom flap being folded up on the back side, I like to insert a piece of card stock into the bag to help create a nice flat surface under that front side. This helps me get the nicest, most even impressions. When the bags are all stamped, just set them aside to dry while you work on the next part of the project. Punch out 24 1-inch circles from some pretty patterned paper--I love this red ledger style patterned paper from the Wonder 6x6" Paper Pad by Authentique, and I was able to punch 24 circles from just one sheet. Apply your numbers (or stamp them with black ink). Now mount the number discs to the bags, atop the stamped snowflakes. I wanted a little dimension, so I popped them up with foam mounting squares. Figure out what you want to tuck inside--little trinkets are cute, and candies are fun, as well--just consider whether or not it will hang above a blazing fireplace because you wouldn't want any CHOCOLATES inside to melt. Ask me how I know. String up your festive twine (twine ended up being 7' long, to leave enough length for tying, etc.) where desired, fold the tops of the bags down and clip them to the twine--I hung mine by the corners and let them overlap as you can see. OK, seriously, aren't these teeny clothespins just the cutest things ever?! Eep! Um, yeah, I always get 2 packages because, just like the little bags, they are gobs of fun to use on other projects. Just sayin' . . .
Then I just peeled off the sticky-back liner paper and started placing the pieces of colored canvas in a random color-blocked pattern onto my piece of Craft-a-Board. Using Tim Holtz Non-Stick Micro Serrated Scissors, trim off any excess canvas hanging over the edges of the Craft-a-Board. Next, I stamped a random pattern of flowers onto the canvas, using Hero Arts Layered Flowers, with black and white pigment inks. I also sanded the edges of the Craft-a-Board/canvas, to fray it a bit ... I like how it made the canvas look a little like blue jeans! To finish my piece, I also colored some white Sticky Back Canvas with Lettuce and Butterscotch Adirondack Color Wash and die cut it with Tim Holtz's Tattered Florals die (I left the backing on these pieces, as well as the sentiment tag, to give them stability). I used Copic E35 marker to lightly color the edges of the Butterscotch flowers and define the petals, then I layered the flowers together with a large brass brad. The Hero Arts sentiment was stamped onto another piece of the Natural Sticky Back Canvas ATC and hand cut into a tag shape. You could also add a favorite photo to this piece, and it becomes a wonderful scrap page or scrappy wall art! I hope you'll try making your own canvas piece -- get creative and choose some different die shapes and seasonal colors! Today I wanted to show how you can easily create an easel frame for any sized project. I started this framed piece of artwork with this fabulous Hero Arts Cling-Stencil Flower stamp. I stamped it with Memento Tuxedo Black ink onto Copic's X-Press It Blending Card and colored it with the RV series of Copic Sketch Markers listed below, which matches the smaller flowers on the patterned paper I chose. I cut out the flower and then stamped and colored an additional flower, which I cut out only the center of, and stacked it with foam tape on top of the whole flower. I rounded the corners of the 6-inch patterned paper using Crop-a-Dile's Corner Chomper. Then I cut 6.25" pieces of Ellen's Craft-A-Board and the fabulous new Core-dinations Color Core Cardstock-Black and adhered the black cardstock on the Craft-a-Board, to create a sturdy base. The patterned paper was matted with a 6-1/8" piece of Neenah Natural White cardstock and then adhered with foam tape on top of the black base. If I had thought far enough ahead, I probably would have used brads to secure the easel to the back of the Craft-a-Board frame before adhering the patterned paper to the front, but I didn't! So instead, I scored 1/2" from the top of the easel and then used Ranger's Mini Glossy Accents to adhere the easel to the back of the frame -- this stuff will hold ANYthing with a fabulous permanent bond! Make sure to line up the bottom edge of the easel with the bottom corner of your frame, so it will stand up correctly (mine IS aligned -- it just appears not to be, because it's folded up a little). Then I used the same YG63 Copic marker I used on the flower and colored the die cut cardstock frame -- be sure you color the outside as well as the inside edges of the frame, for a nice finish. This just ensures that none of the white cardstock frame base will show through the glitter. Then I ran the frame through my Xyron machine, covering it in adhesive, and applied the Glitter Ritz Opaque Micro Fine Chartreuse Glitter glitter. The frame was popped up with foam tape over the sentiment and the large flower accented with Ranger Star Dust Stickles. Time for an update of my seasonal Photo Tray for Spring & Summer! You can find my other seasonal Photo Trays here (Fall) and here (Christmas), if you care to get some other ideas of how this tray can be used. I use temporary adhesive on each of the 4" x 6" panels within each tray section, so they can be removed and the tray used over and over again! I used this gorgeous new Prima 6x6 paper pad-Madeline, for an easily coordinated tray. In the top left section, I used Spellbinders largest Labels Large Nestabilities die to cut the photo of my oldest daughter (showing off her new glasses!) -- notice that pretty embossed edge of the photo! I love using dies to cut my photos into unexpected shapes -- I think it gives my scrapbooking a nice professional touch. The flower accent was cut from coordinating Madeline paper using Tim Holt Bigz Die-Tattered Florals. It's quick and easy to cut all the coordinating flower pieces you need in just one die! I stacked the pieces together with 3D Foam Squares, and accented the center with a Hero Arts Medium accent pearl. Then I just cut away pieces of the adhesive backing from where I wanted the cork to adhere to the butterfly patterned paper in a curved dimensional shape. The adhesive sheet helps give the cork more stability, to retain its curved shape and makes it super easy to adhere to the paper. Then I just trimmed the patterned paper around the cage and laced it up with Brown Twine, and walah . . . caged butterflies! For this sweet bird die cut, I adhered Creative Imaginations Real Cherry Wood Cherry to Craft-a-Board to give it more stability and then die cut it -- I love the texture! It's popped up on foam tape. I loved this wonderful scalloped sentiment piece that is from another piece of the Madeline paper. It says: "True beauty lies within. I know that yours will shine so brilliant it will be blinding." Something I hope my beautiful daughters learn in life. I trimmed the flowers to fit the dress form, and then finished it with a Hero Arts Small Accent Pearls necklace. My oldest daughter said she wants a dress like this! The photo of my youngest daughter was cut with a circle die. I hope this tray helps to give you some ideas of different ways you can use this wonderful 7 Gypsies Black Photo Tray! I have to admit that sometimes I feel a little intimidated by larger sized projects. Am I alone in that, I sure hope not! Filling a larger space takes more planning and preparation for me and I can find the process overwhelming. Maybe that I why I love card making so much. Whatever the reason may be, I am not going to let it stop me from trying new techniques, or media. A 4" x 4" canvas can be a terrific starting place for playing, and if you are like me, you might find an entirely new way to express yourself! After creating this tiny masterpiece, I have plans to make a couple more that will compliment it and give them to my mom for her birthday in a few weeks. She is a seamstress, and I think she would really enjoy a little art cluster for her sewing room. It simplified my decision making process to use a few products that are all meant to work together, with the stress of decision making gone, I was free to play and enjoy! 4" x 4" Canvas, the Claudine Hellmuth Studio Line paints, Paint brushes and Sticky back Canvas, Claudine's Stamps, Archival ink in black, Hero Arts Friend Definition Cling stamp, a Mini-Mister, and of course my handy-dandy Non-stick Craft mat! The first thing I did was get my Painterly Pink Studio Paint onto the mat and loosened it up with water from the Mini-Mister. This let me put a nice light color onto the canvas. I did the same thing with Modern Red, but didn't loosen it quite as much so that the coverage would be a little more opaque. I used the stamp from the Domestic Foam stamp set to get a fun background pattern. I also stamped the scallops from that set onto each of the sides of the canvas. While that was drying I worked on my top layers. First I stamped the dress form from the Domestic Foam set with Landscape green onto some Sticky Back Canvas, then stamped the Hero Arts Friend Definition with Archival ink over the top. To add a little punch I used the little dots from the Domestic Foam set in the Modern Red over the top of the definition stamp. When it was dry, I stamped it with the Domestic Clear and then fussy cut it out and set it aside. I then stamped the little birds in Sky Blue over the top of the definition and when it was dry stamped the outline from the Domestic Clear set around them and then cut them out as well. I stamped the birdcage in the Modern Red as well and after it was dry stamped the outline in Archival on it as well. When the base canvas was dry I stamped the thick and thin rectangles in Yellow Pastel, I let that layer dry and then stamped the Domestic Clear outline over it and the scallops on all the sides as well. Then I peeled the protective backing from the Sticky Back pieces and adhered them in place. So what do you think? Are you ready to give these little gems a try? A great size for a quick project, and there is always room for something so tiny and cute! Welcome! Today I have an altered item to share; I had ordered one of the black Printer Trays several weeks back but wasn't sure what I wanted to make with it. When the new Cosmo Cricket Circa 1934 line came out, I knew that the vintage office look would be perfect with my printer tray. Tip: Be sure to measure carefully before you cut your pictures; sometimes the shapes are 1/16" more or less than a standard size. Leaning on my woodworking husband's advice, "Measure twice, cut once." After you have the photographs in place, fill in with bits and pieces of patterned paper, buttons, string, tags--whatever your heart desires! I considered leaving my photographs and papers just tacked with a bit of adhesive so that I could change the pictures seasonally, but I ended up using Ranger's Matte Accents to glue the pieces thoroughly. I'll just order another tray. . . or two. . . Christmas presents for grandparents, anyone?